The Water Station Run Home was built by the DeVault family in Lonaconing, MD. Commissioned by Debbie, New Castle, DE. 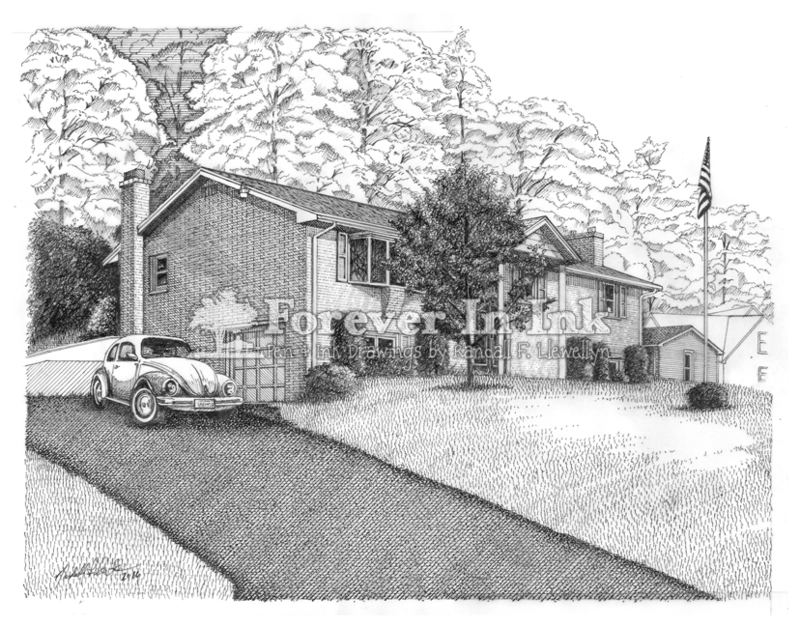 This entry was posted in Artwork and tagged Art, Drawing, Line Art, Lonaconing, Lonaconing Maryland, MD, Pen & Ink, Presbyterian, Water Station Run. Bookmark the permalink. The prints that I purchased from Forever In Ink where of superior quality and made a fine addition to my living room. The prints shipped quickly and arrived a lot sooner than I expected them too. Join our mailing list today and hear all about the latest promotions from Forever In Ink!